Boiled White Sausages, Served With Beer And Pretzels. Perfect For Octoberfest. Natural Wooden Background. Front View. Banco De Imagens Royalty Free, Ilustrações, Imagens E Banco De Imagens.. Image 82107005. 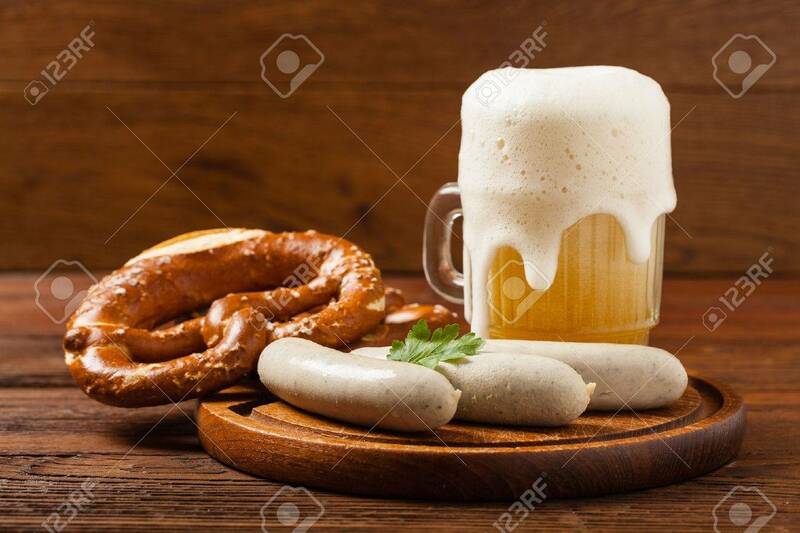 Imagens - Boiled white sausages, served with beer and pretzels. Perfect for Octoberfest. Natural wooden background. Front view. Boiled white sausages, served with beer and pretzels. Perfect for Octoberfest. Natural wooden background. Front view.